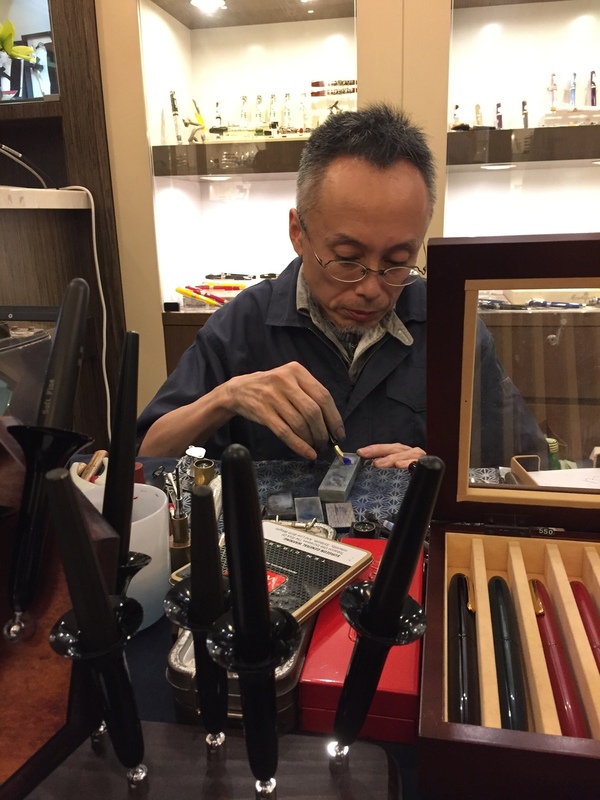 Visit Aesthetic Bay during the Nakaya Pen Clnic where Nakaya’s resident nibmeister Yoshida Shinichi san has flown down to conduct. He adjusted and customised fountain pen nibs from Nakaya and Platinum during the 3 day event. Ogle at all the pens he has brought along with him to be sold during the 3 day event. Try out the various nib sizes, fondle the beautiful maki-e pens on the pen trays, visualise the barrel of choice with the different nib option available and don’t forget to check out the pen stoppers that are on display. Talk to the other fellow pen lovers about their personal choices. Go home and check your bank account balance. Spend a sleepless night agonising over the price of your Nakaya pen of choice. Go back to Aesthetic Bay again. Make payment and have your nib tuned to your satisfaction by a master of his craft. Enjoy your brand new pen. That’s easy isn’t it. There you go, that’s how you can become the owner of a brand new Nakaya pen. That’s how I become the proud owner of a Nakaya Decapod. I hope that’s helpful to all soon to be Nakaya pen owners. My thanks to Aesthetic Bay for holding this pen clinic as well as the delicious food and wine served.